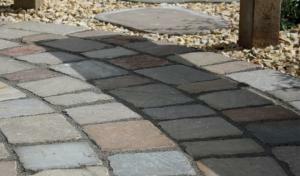 We have a silver granite sett, four weathered sandstone cobbles and three new smooth sawn and honed sandstone cobbles, offering a variety in colour and surface finish. A traditional looking stone, our granite setts are a fantastic product for creating a rustic feel and will give courtyard spaces an impressive finish. 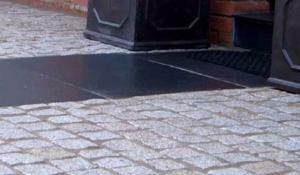 With a versatile edge the granite setts can also be used with contemporary products to create an on trend garden or feature. 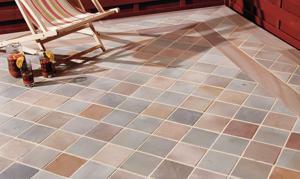 Our new range of sawn sandstone cobbles can be used in a variety of applications including patios, paths, edging features, courtyards and driveways. Please note that if you wish the cobbles to take vehicular traffic, they must be laid on a full bed of mortar. 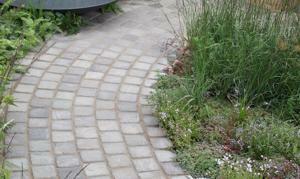 Our range of weathered sandstone cobbles can be used in a variety of applications including patios, paths, edging features, courtyards and driveways. Please note that if you wish the cobbles to take vehicular traffic, they must be laid on a full bed of mortar.